General Admission Adult Ticket for Saturday, April 27 Valid 10:00AM - 9:00PM No Refunds Special presentations, Feature and Short Films screen. General Admission Adult Ticket for Sunday, April 28 Valid 10:00AM - 9:00PM No Refunds Special Guest Speakers films screen and presentations with mobile filmmaking workshop seminar, Q&A Panel with all filmmakers, Red Carpet Extravaganza! with all filmmakers featuring Star Wars Steampunk Universe celebrity cosplay group. General Admission Adult Ticket for Both Days (2-Day Pass) April 27 & April 28 Valid Saturday 10:00AM - 9:00PM & Sunday, 10:00AM - 9:00PM No Refunds. 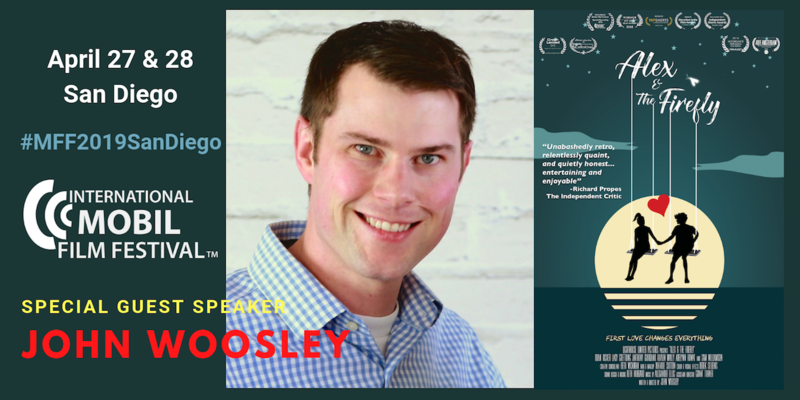 This 2-Day Pass includes All programs, films screenings, Q & A Sessions & a Q &A Panel with all filmmakers, special guest speaker presentations with seminar workshop on mobile filmmaking, the Red Carpet Extravaganza! featuring Star Wars Steampunk Universe celebrity cosplay group and more! Child Admission Ticket for Saturday, April 27 Valid 10:00AM - 9:00PM Children under 6 are free. No Refunds. *Adult/Parental supervision required. Special presentations, Feature and Short Films screen. Child Admission Ticket for Sunday, April 28 Valid 10:00AM - 9:00PM Children under 6 are free. No Refunds. *Adult/Parental supervision required. Special Guest Speakers films screen and presentations with mobile filmmaking workshop seminar, Q&A Panel with all filmmakers, Red Carpet Extravaganza! with all filmmakers featuring Star Wars Steampunk Universe celebrity cosplay group. Child Admission (2-Day Pass) April 27 & April 28 Valid Saturday 11:00AM - 9:00PM & Sunday, 10:00AM - 9:00PM Children under 6 are free. No Refunds. *Adult/Parental supervision required. This 2-Day Pass includes All programs, films screenings, Q & A Sessions & a Q &A Panel with all filmmakers, special guest speaker presentations with seminar workshop on mobile filmmaking, the Red Carpet Extravaganza! featuring Star Wars Steampunk Universe celebrity cosplay group and more! Have you heard the 5 W’s of #MFF2019SanDiego? This year’s theme is Stories! What? All films shot with smartphones. Who? Meet pioneers & the people making them. Why? Their stories will inspire you. Where? In San Diego. When? April 27-28! 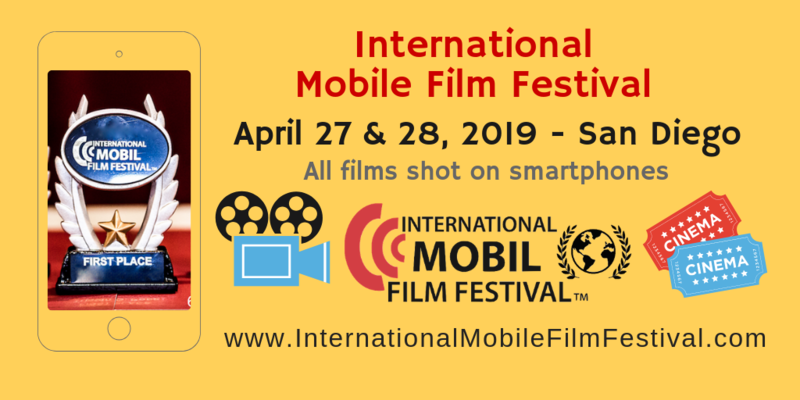 Meet filmmakers and storytellers from around the globe during this inspiring film festival where all films were shot with smartphones just like yours. #MFF2019SanDiego will screen 29 short films and 2 feature length films. Feature film directors will be in San Diego with Short film directors to answer your questions and share their stories directly with you. Saturday, Day 1: Registration begins at 10AM. Feature and short films will screen Saturday, April 27 with special presentations. There will be breaks to network and greet the filmmakers. A restaurant on site will be available to feed everyone with an ample menu including breakfast. Don't be late...you won't want to miss a thing! There will be a raffle at the end. *Check tickets for details. Sunday, Day 2: Special Screenings and guest speakers, Mobile Film Q&A Panel, Red Carpet Extravaganza, & Awards Ceremony. The festival will end with a raffle! *Check tickets for details. #MFF2019SanDiego presents a bigger festival this year with our Stories! theme, a bigger group of filmmakers, and international guest speakers. We bring a feature film competition of films shot with smartphones which we launched in 2016. We are excited to share both films and their directors with other filmmakers and attendees. They will arrive from L.A. and Australia. Bring your smartphone and celebrate the film industry phenomenon that is mobile filmmaking with smartphones. All ages welcome. Free parking in parking lot. Delicious restaurant on site serving full breakfast and lunch menu. *Each paid ticket holder will receive a raffle ticket to win a mobile filmmaking swag prize at the end of each day. Children 7 and older are elligible with paid ticket. Must be present to win. 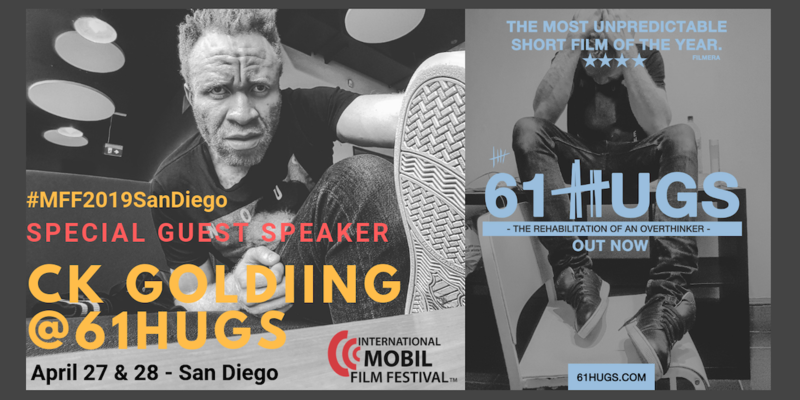 A short presentation & film screening by Global Mobile Film Awards™ with Matteo Tibiletti, coming from Italy to San Diego. Matteo won the 2018 Best Experimental Film Award. He will present an Honorary GMFA Judge Award to one attending filmmaker from the short film competition. *With the exception of some adult themed films, all ages are welcome. Collaborative Partner: Freevision - Movies Stories, Revolutionary Visions.